So there you have it! 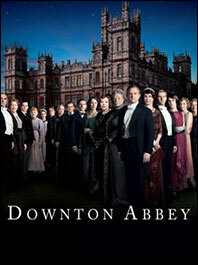 Downton Abbey- loved by many. To prepare for the release of season 4, West Elmira Library is having a tea. We will be showing the last episode of Season 3 while enjoying a light lunch with tea on Thursday, December 12th from 11:30 to 1:30. We are asking that you let us know if you plan to attend. Period dress encouraged! This entry was posted in Uncategorized, West Elmira and tagged Downton Abbey, events, tea by ccld. Bookmark the permalink. Next → Next post: Windows 8.1: It is a Good Operating System!